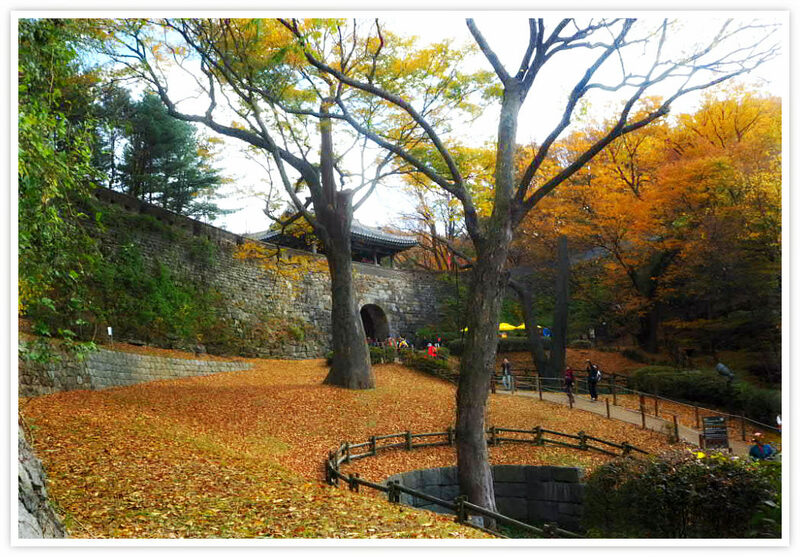 Namhansanseong Fortress is one of Korea’s UNESCO World Heritage historical treasure. The fortress was built as an emergency capital for the Joseon Dynasty (1392-1910). 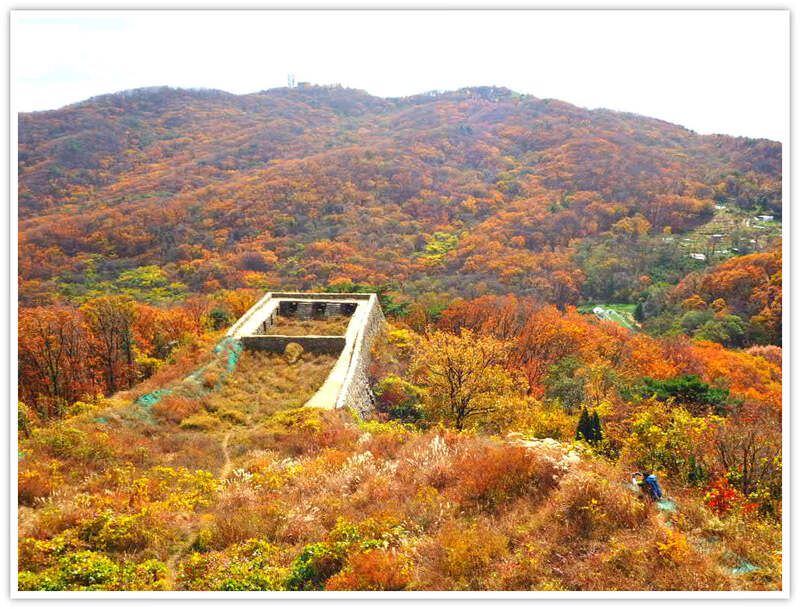 This world heritage is located 25 kilometers southeast of Seoul. 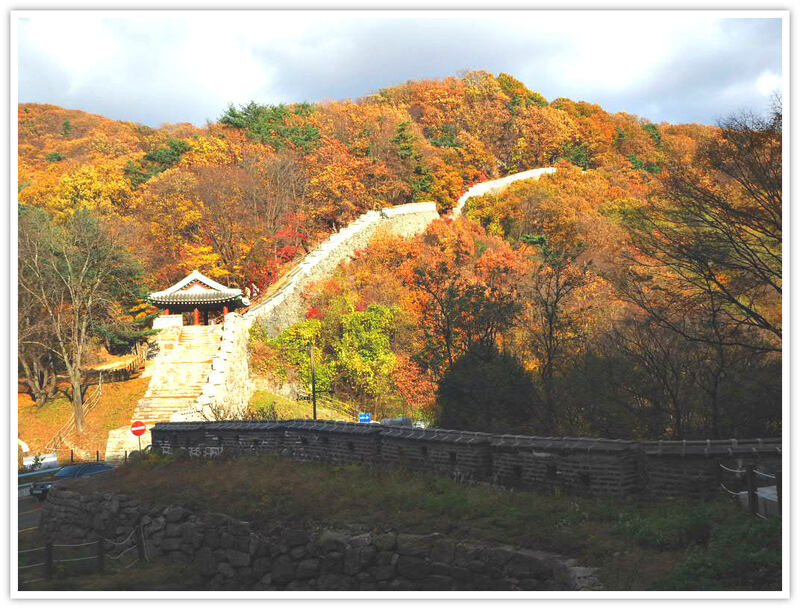 Namhansanseong Fortress is a very popular hiking and driving destination among locals and tourists. You can get here by taking a subway and a short ride by bus. The bus stops near the South Gate - considered the most elegant among the gates in the fortress. 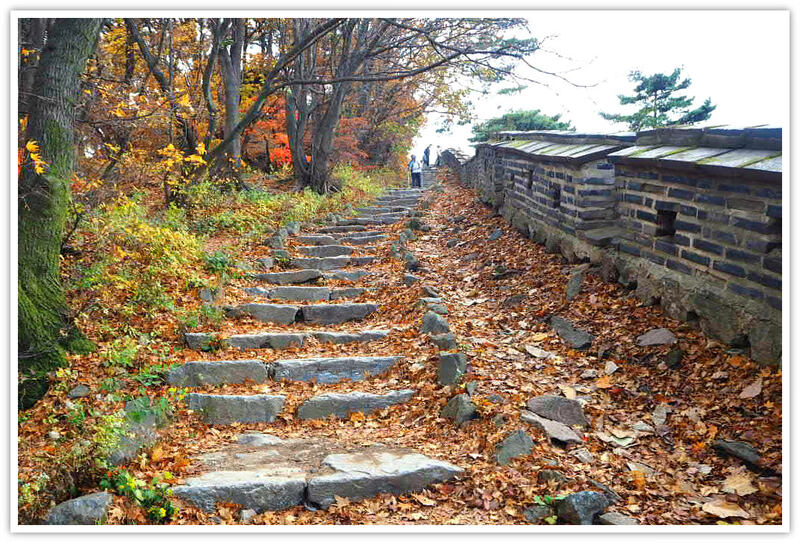 It was in the perfect time of Autumn when I hike some parts of Namhansanseong Fortress. The colorful foliage of trees - reddish, yellowish, brownish, pinkish - and all those colors were astounding. As you can see, I took many photos and was engrossed entirely pushing my camera button everywhere I turn (which consumed my fully-charged battery). Yes, it was my first time to see and explore the site. I know that I have to return to (hopefully) completely see everything that the fortress has to offer. Spring could be great to look at the flowers. Alternatively, see the fortress walls covered with white snows during winter. And the verdant forest that blankets the entire Namhan Mountain. Now, if you have not heard about this world heritage site, you may scan a bit the interesting historical below. During the Manchu invasion of 1636 C.E., Jeoson Dynasty King Injo (r. 1623-1649) fled to Namhansanseong. The princes had taken refuge on Ganghwa Island which was also invaded, and when signs of defeat became imminent, the King, joined by the Crown Prince, was bitterly forced to surrender to the Manchu siege at Samjeondo outside the fortress. But in fact Namhansanseong itself knows no defeat. The fortress is surrounded by steep slopes making it difficult to approach, and the inner fortress is blessed with broad areas of arable land and plentiful water resources, giving it strategic importance. So during the siege, despite being greatly outnumbered, Joseon forces were able to resist the invaders for 47 days before surrender. Namhansanseong was completed in 1624 during the second year of the reign of King Injo. It has a circumference of 7,545 meters (about 5 km) and ranges in height from 3 to 7 meters. The ramparts feature parapets, and being much smaller than other fortresses, shorter battlements to fend of attacking forces. The inner fortress featured armories, royal and official quarters, four large command posts, four main gate towers, and temples for militarized monks. Namhansanseong has played an important role as a stronghold since the Three Kingdoms Period (57 B.C.E-668 C.E.). Records indicate that Baekje (18 B.C.E.-66 C.E.) founder King Onjo first completed the fortress, and in 672 (12th year of Unified Silla King Munmu) a fortress called Jujangseong was built on the western edge. Namhansanseong had a prominent role in repelling the Mongol invasions during the Goryeo Dynasty (937-1392) and it served as a site for resistance during the Japanese Occupation (1920-1945). 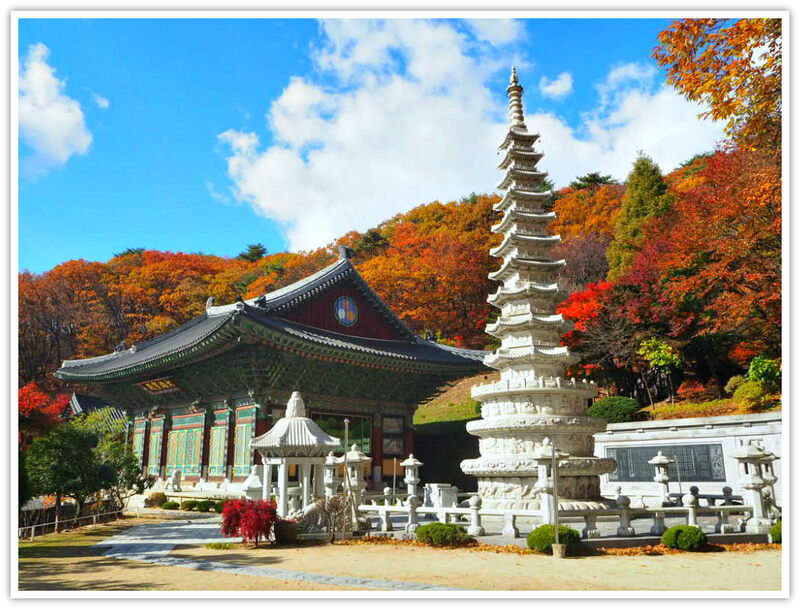 Legends and stories about Namhansanseong abound, and the many cultural assets include the Haenggung temporary palace, Sueojandae command post, Sungnyeoljeon Shrine to King Onjo, and Cheongnyanddang Shrine. Ongseong is a second wall built outside the gates of the fortress for greater protection, and invaders would have to pass it first. Since it stuck out from fortress wall, it provided attack capabilities from three directions. Namhansanseong (Namhan Mountain Fortress) features 5 such double walls Namongseong no.2 has a circumference of 318 meters, and a double wall of its own. 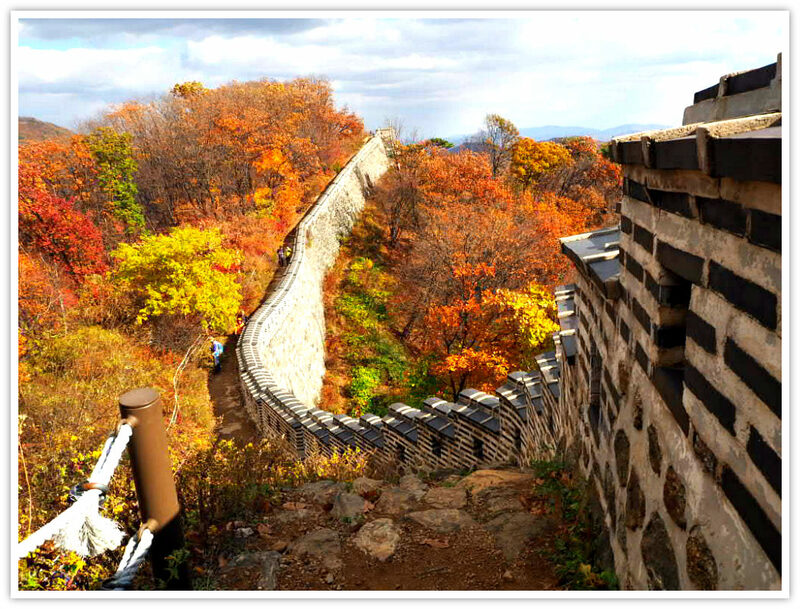 Historically, the fortress was built as an earthen wall during the Goguryeo Period - around 2,000 years ago. Due to its significance as a protection wall, they kept on renovating them and developed over time. It was Gwanghaegun of the Joseon Period who properly built the fortress (in 1621) in which the present general structure is constructed. Due to the high and rough surrounding mountains, the area is surrounded with walls is the best place for dwelling and defending against intruders. Notice that there are inner and outer fortresses. The Buddhist monk-soldiers built and defended the area. It is estimated to accommodate at least 4,000 people including administrative and military functions. The earliest artifact dated back in the 7th century. However, due to the anticipation of attacks from the Sino-Manchurians Qing Dynasty, the walls were renovated and rebuilt many times. The fortress embodies the military engineering concepts in that period which was influenced by Chinese and Japanese defense tactics. The city inside the fortress has been inhabited by military people, civilians, religious people based on the structures uncovered in the site. Namhansanseong Fortress is considered as an outstanding example of a fortified city, one of the criteria used by UNESCO in enlisting the site as a world heritage. Yes, I did but not the whole area! I need to cover more places because the area is vast - around 409 hectares with a buffer zone of over 800 hectares. Although it is a mountain, it is a friendly place for the general public. I believe that even children below ten years of age may explore the place with parent’s or adult’s supervision. Also, a family with small kids may just stay in the flat areas where they can have picnics and games. Specific areas for eating are provided for: shades, tables, and benches. 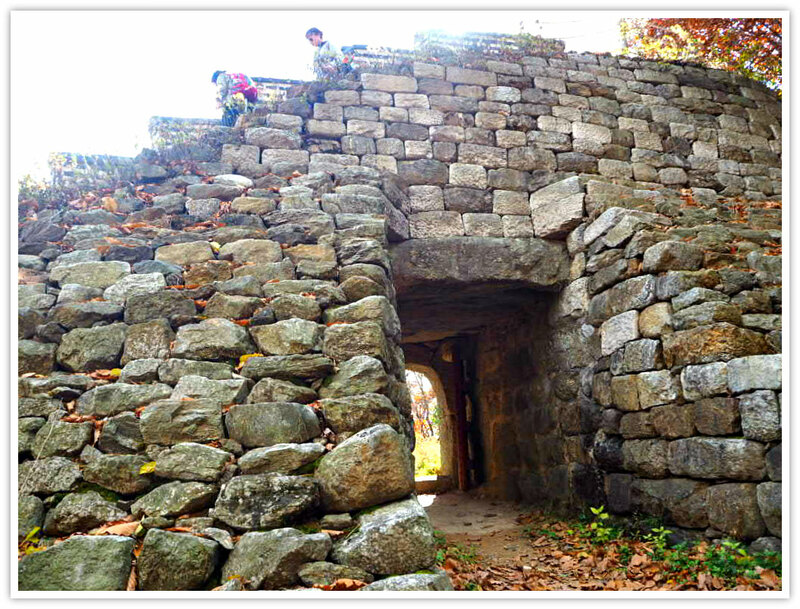 Adults and youths who are above ten and less than 80 years of age (apologies, if there are older or above 80, can hike Namhansanseong^^) may explore anywhere inside the fortress. If you prefer, you may drive inside the fortress for a parking fee (by the hour or minute). Therefore, even people with some difficulties in walking can explore some flat areas as long as you are inside the site. 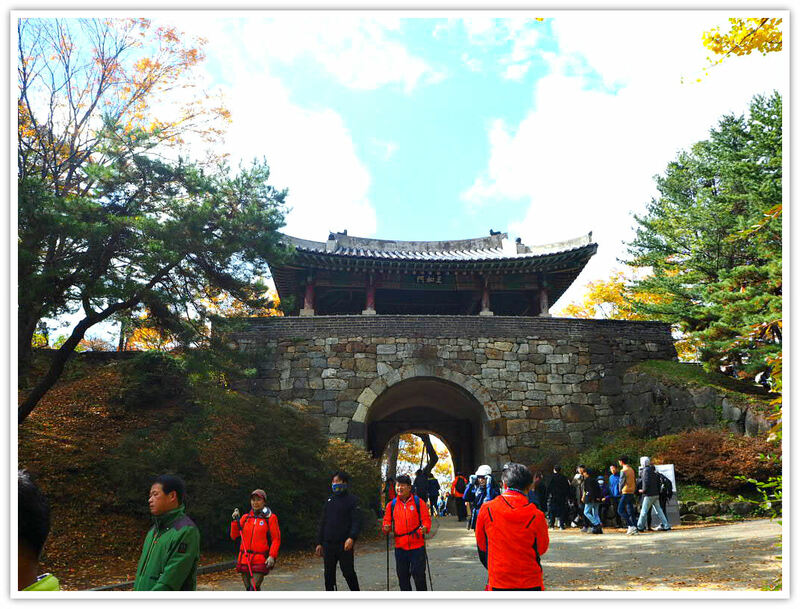 The most visited area is the South Gate - the biggest and considered the grandest among the four gates of Namhansanseong Fortress. So, it means that anybody can see or visit this UNESCO heritage regardless of physical disabilities or hindrances one may have. You certainly must have read a bit about this fortress. Moreover, probably that experience has brought you here or getting more excited to learn further about this fortress national park. So, I bet you will enjoy better your visit coupled with your imagination of the place. Your pre-knowledge of this historical place will be confirmed - some of them at least - through the remnants and other ancient artifacts left behind. 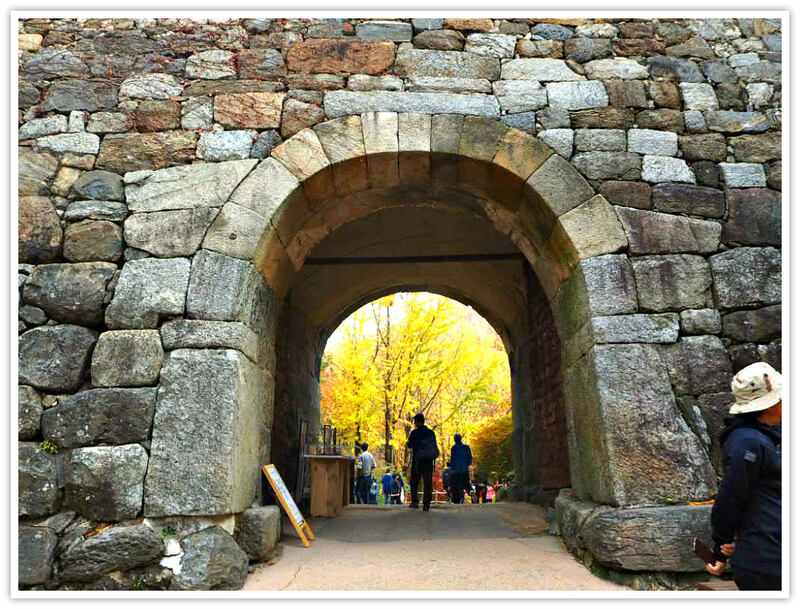 Yes, the fortress’s primary purpose is to lure people to come and enjoy the outing, aside from hiking - or part of hiking could be a picnic for groups or families. Tables and benches are available in specific and strategic places. But you can also choose to spread your blankets or mats on the flat ground and enjoy your packed food or snacks amidst the verdant trees during summer or colorful foliage during Fall season. Of course, taking photos at every corner in this place is not prohibited (unlike some areas, such in near borders or close to the Blue House). During my six-hour trek, I ran out of battery (camera). 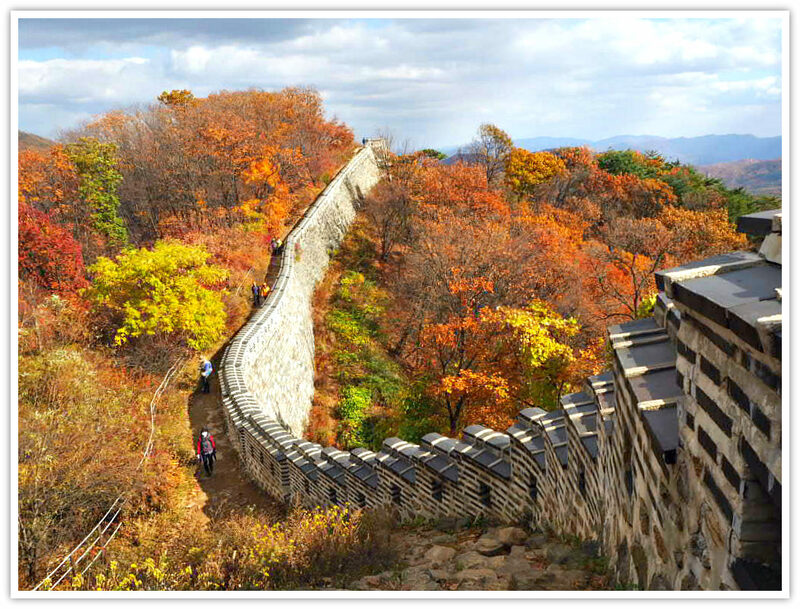 The fortress walls, the surroundings, Autumn leaves of maple trees, panoramas, views of the mountains, and everything looked so beautiful. Your smartphone is good enough to keep some memories. (Just be careful when doing a selfie alone near cliffs). Some kindergarten teachers and even older ones bring out their kids around to explore the more accessible routes. Kids play, paint, draw and color their works with the fortress at their subject. Of course, adults can also come to paint or anything creative within the site as long as you don’t disturb either nature or the heritage. Apparently, the site is beneficial for hikers both for body and mind and spirit’s health. For people who have physical discomforts can come in through private vehicles. I suppose disabled individuals can explore but only in limited areas. From the parking areas, one can see many things including the walls and gates, such as the South Gate (the most attractive one). You can use your own camera to film the environment for personal use. But if one wants to shoot for a real ‘film,’ such as TV soap opera, movie and similar film-making you need to ask permission and pay for a certain amount depending on your plan. 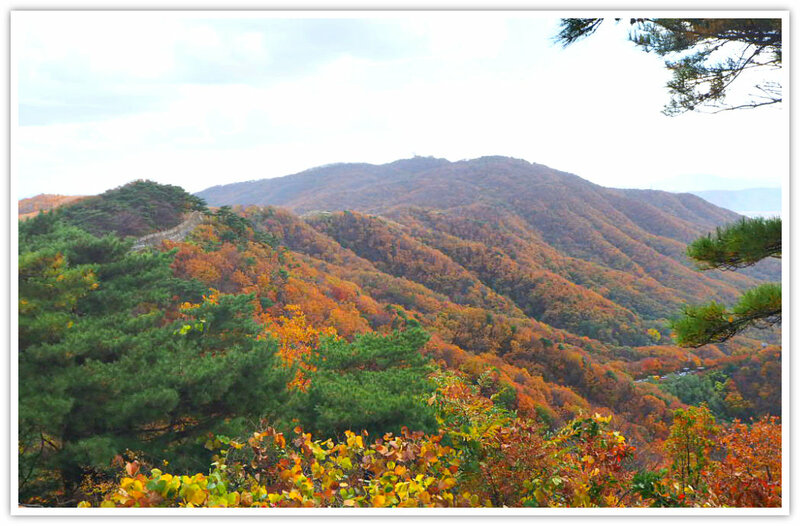 You have choices of hiking courses at Namhansanseong. For adults, you can generally hike all the hiking courses below. In my experience, one cannot do all of them in one day as you have to walk towards opposite directions. Maybe, two or three days is possible to explore all corners including the gates. For kids, say from 7, and above, they could easily find courses for them. I saw parents with their children, and they seem to have no trouble at all. Trail number 1 should be even easy for pre-schoolers. Course 1: Sanseongjongno (Rotary) - The North Gate - The West Gate - Sueojangdae - Yeongchunjeong - The South Gate - Sanseongjongno (Rotary) It is about 5 kilometers and could take around 1 hour and 45 minutes except for stops and picture-taking. 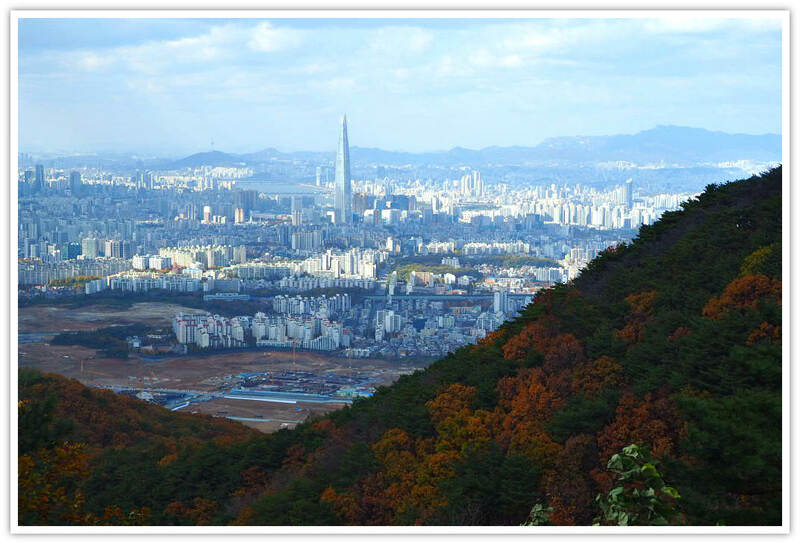 Course 2: Sanseongjongno (Rotary) - Yeongwoljeong - Sungyeoljeon - Sueojangdae - The West Gate - Gukcheongsa Temple - Sanseongjongno (Rotary) This route is about 4 kilometers and could take about 1 hour and 20 minutes to accomplish. Course 3: Namhansanseong Fortress UNESCO Heritage Center - Hyeonjeolsa Temple - Beolbong peak - Janggyeongsa Temple - Mangwonsa Temple - Jisudang - Administration Office. This is about 5 kilometers and could take 1 hour and 35 minutes. Course 4: Sanseongjongno (Rotary) - The South Gate - Namjangdaeteo - The East Gate - Jisudang Altar - Gaewonsa Temple - Sanseongjongno (Rotary). It is about 4.5 kilometers and could take 1 hour and 30 minutes to accomplish. Course 5: Namhansanseong Fortress UNESCO Heritage Center - The East Gate - Dongjangdaeteo -The North Gate - The West Gate - Sueojangdae - Yeongchunjeong - The South Gate - The East Gate. This is the longest route and about 8 kilometers that could take about 3 hours to finish. The most popular hiking route among locals is the 2-hour loop within the fortress itself. This route leads you to the main gates: Bukmun (North Gate), Seomun (West Gate), Nammun (South Gate - most famous among them), and South Command Post. This route will give you beautiful sweeping panoramas of the fortress and the surrounding areas. You can do trekking the whole fortress walls. It can take around seven hours to complete. Prepare and plan your destinations. Ensure that you combine trails that would include in and out of the walls to give you various views of the environment. For both choices, you can take Subway Line 8 and get off at Sanseong Station at Exit 2. Then take Bus #9 that will take you to Sanseong Bus Stop in about 20 minutes (more on this below). Since it would be tiresome to see all the gates at once, you may have to choose a couple in a day to enjoy the place. As I said, the South Gate is the prettiest one and the most popular. All walls of the fortress look really great. Some compare them to spines, snakes or anything look that describe them. Yes, oak trees, maple trees, pine trees, bushes, flowering plants, and animals, except for cats, cannot easily be seen. Stray cats can be found everywhere in the national parks. 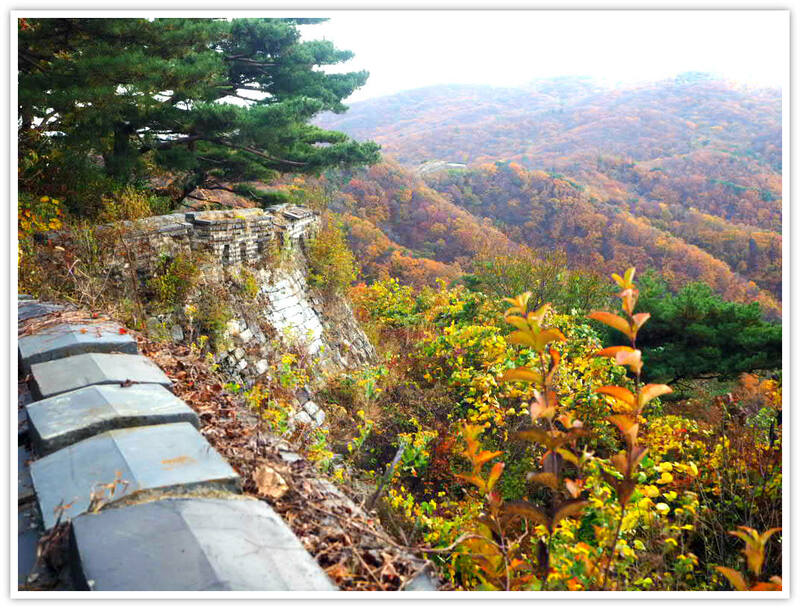 Most Korean national parks are generally safe and are provided with basic facilities for all hikers. They are even made more accessible to be hiked by putting up steps. Facilities: benches, water supply, washrooms, cultural relics, museum, memorial site, among others. No strollers are available. Pets are not allowed inside the park. 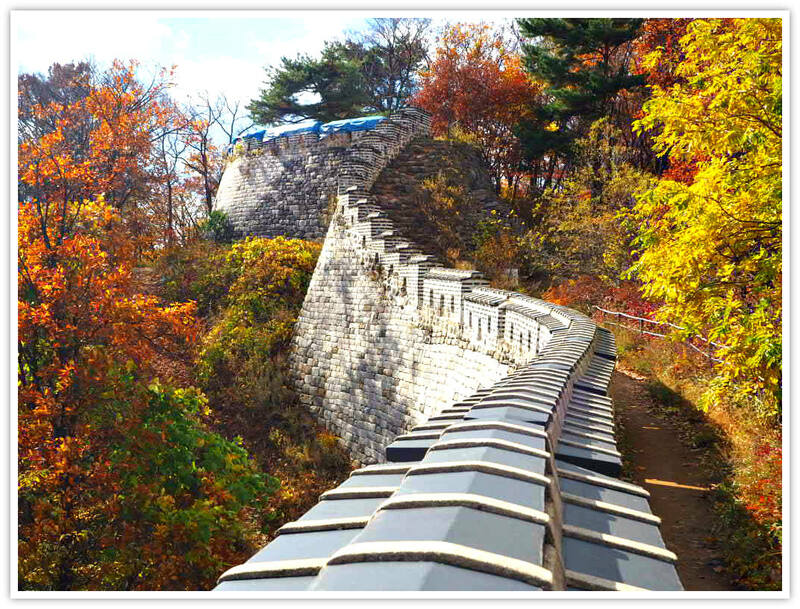 You may reserve at Namhansanseong Fortress Center by calling +82-31-745-2845. Translation languages available are in English, Japanese, and Chinese only. 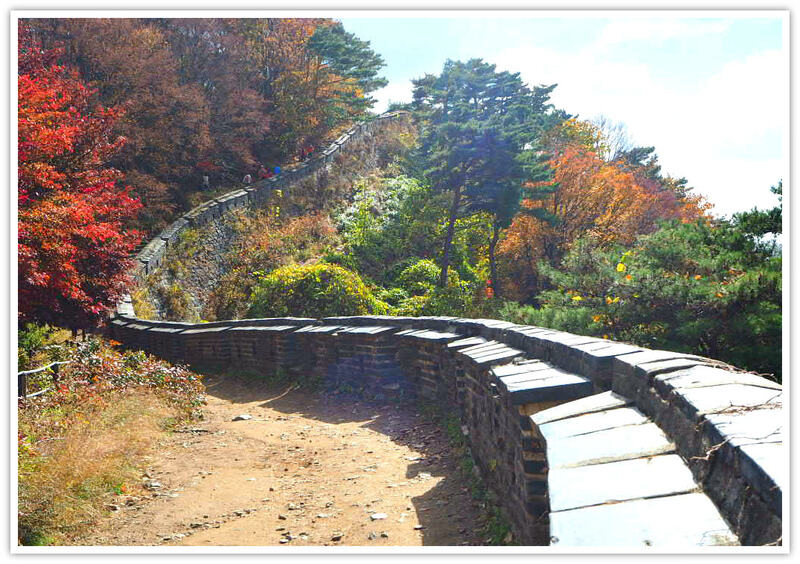 Many roads lead to Namhan Mountain Fortress. Some of my suggestions on how to get there are below. Start from Yangjedaero Highway passing through Suseo, then to Daewang Bridge and finally to Sanseong Rotary. This is the quickest way to get there (that is if there is no heavy traffic depending on the time and season). Using this route, you can enjoy refreshing scenes along the way. Of course, your experience varies depending on the season (e.g., winter, spring, autumn). Take any subway from your point of origin (or bus to your nearest subway/metro). The make sure that you get off at Sanseong Station (Seoul Subway, Line 8) and get out from Exit #2. Then take the City Bus #9 (the bus stop is located close to the subway exit) and get off at Namhansanseong Bust Stop. TIP: Go or follow the guys with their full mountain gears as they are mostly going towards your destination. And don’t panic if you don’t understand Korean as announcement per stop will be both in Korean and English. Travel time is around 20 minutes, and the bus interval is also 20 minutes. In my experience, I would not advise you taking the bus as I suggested above: because it can take ‘ages’ to get to the destination due to traffic congestion during peak season. I went there during the peak of Autumn - I was feeling bad because the vehicles did not move. (It could take about 1 hour or 2 instead of only 20 minutes!!). 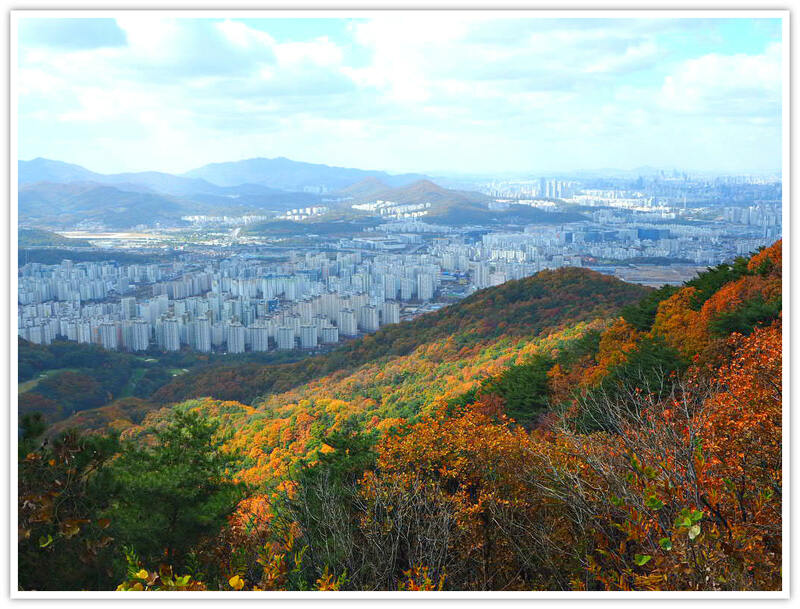 Instead of getting off at Sanseong Station, get off at Namhansanseong Station then walk towards the entrance of Namhan Mountain Fortress (or Namhan sanseong). It would only take around 12-15 minutes to reach the base of the mountain. From the base, it would take about 30 minutes on foot to reach the Nam Mun or the South Gate - the most popular one. Take a bus number 13-2 at Dongseoul Bus Terminal in Gangbyeon Station. Then transfer to a 15-1 bus for the entrance of Namhansanseong. - Nov. ~ Mar. 9:00 a.m. ~ 6:00 p.m. - Apr. ~ Oct. 7:00 a.m. ~ 8:00 p.m.
One can travel quite comfortably to Gyeonggi Province from Seoul area. However, if you plan on directly hiking and enjoying the world heritage, you may stay at any comfortable accommodation nearby. You may check out the rental accommodation place below. Thank you for visiting this page and reading this far. Hope you have a fantastic and memorable travel.